There are cases in WAR LORE about tinkerer armor, so there is a possibility. That picture made me laugh, thinking of a dwarf in that suit. OMG I love this idea. I would actually consider moving from my beloved grenadier spec to tinkerer for it. I would like the suit of armor be animated like a Transformer. With the sound track included. That way you could transform into a motorcycle like WoW has. Hmmmm maybe not. I support the use of the Transformer sound. As far as I know, Order does not have any equivalent to the Squig Armor, this would seem an ideal place for it. Engineers could use some melee functionality too. 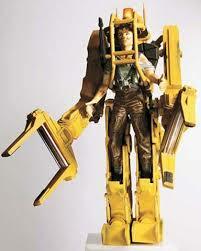 The design would have to distance it's self from Mech, Transformers, Aliens, or any other stereotype. The Engineer is Destros Magnus equal. The Shadow Warrior is the Squig Herders. Some say the White Lion but the WL does not need anymore armor help. So how who they counter the Eng Mech armor for the Magnus? There are mirrors, but they are not really. The Marauder and White Lion are a perfect example. They have the same mechanic, sorta... but not the same abilities. There really is no need for Magus to get an equal, as someone on the Destro side has it. Really? As an Grenade Engineer, I can barely make a dent in a Tanks health bar without help. Just like the Squig Armor, Engineers would lose some skills when it is in use. So it isn't all gain. The Tinkerer line needs something. I am open to other ideas, but right now it is pretty weak. It is supposed to be the front line mastery, so giving them some melee power seemed like a logical skill.